Hi Everyone! Happy Wednesday! 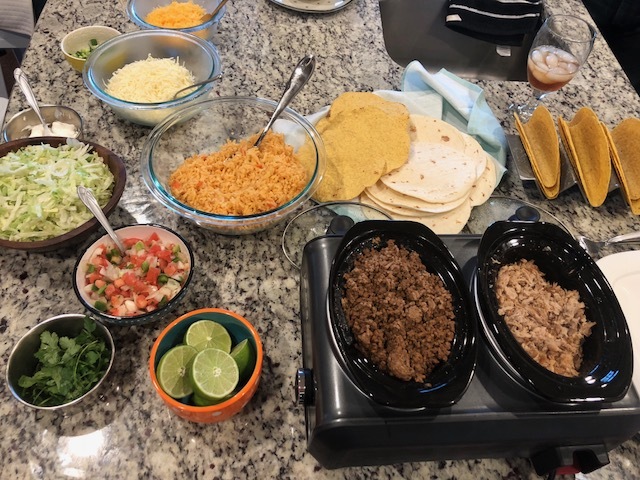 I hope you are all having a great week :) I wanted to stop in to share the taco bar I hosted last weekend and give you ideas if you ever want to do this in your own home or for a party. This was such a fun night celebrating Reed's Birthday with his parents and grandmother. We enjoyed the taco bar and thought it would be fun to share. 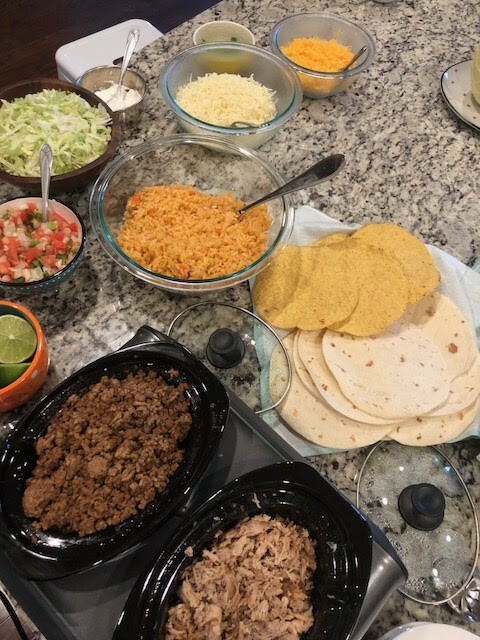 Taco bar's can be extensive or very simple; either way they are always bound to be a hit! I had a simple table setting with polka dot placements with white napkins and a colorful centerpiece of flowers in different colors. This is a great way to add a pop of color to any table. 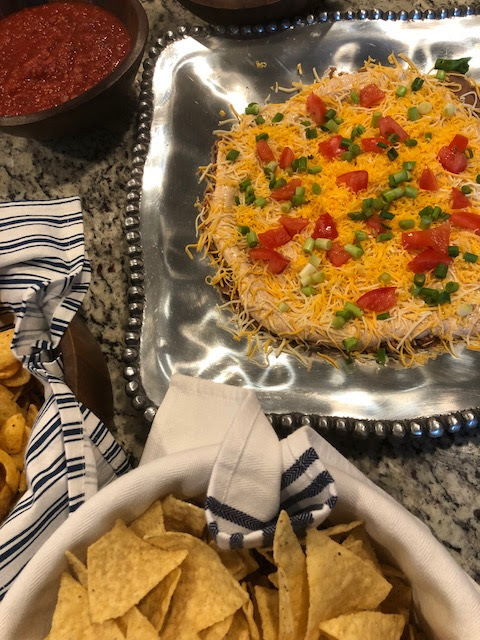 Then, I made one large appetizer dip which consisted of refried beans as the bottom layer, the middle layer I mixed 1/2 cup of mayo, 1 cup of sour cream, and one pack of taco seasoning for the second layer, and then I added shredded cheese, green onions, and tomatoes on top. 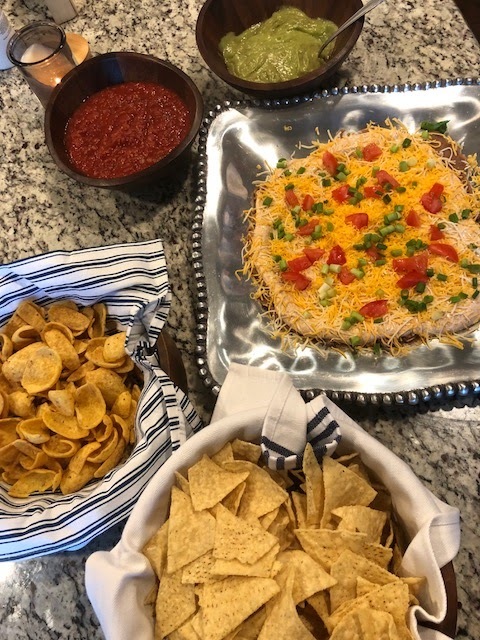 You can serve this appetizer with frito chips or tortilla chips. My grandma or as we all know her as "Mam" makes this and everyone always enjoys it. It is a very simple but great recipe for any party. 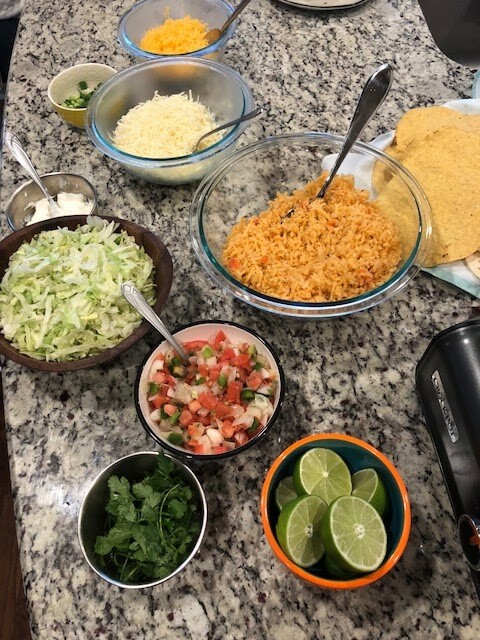 After the appetizer, I set out several small bowls of toppings, sauces, and condiments for the tacos. This is your chance to get creative with toppings and also your choice of colors of bowls or your serving pieces. The main dish was taco meat & pork carnitas and then everyone could choose a soft or hard shell for their taco and then add whatever they wanted on top of their tacos. 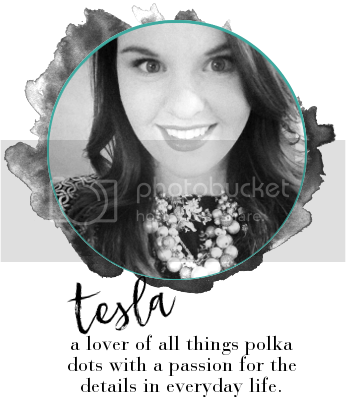 This is a fun way to entertain and easy as well! For a couple sides for this dish I put guacamole, cheese dip, salsa with chips and also a side of rice. As you can see, you can make it as large as you want. My taco bar was a hit I think as everyone enjoyed good conversation, company, food, and celebrating Reed. 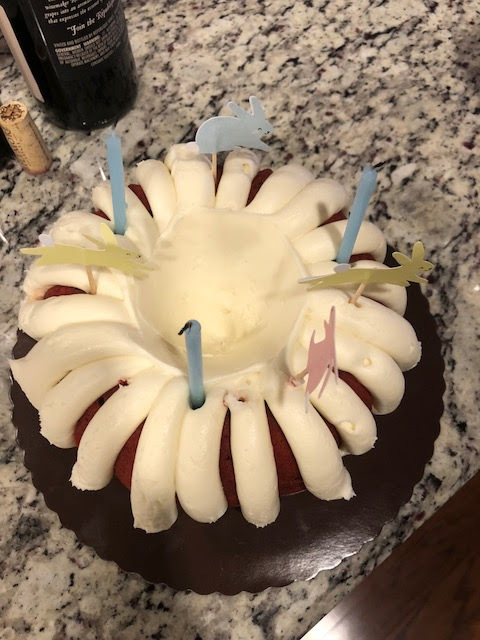 For dessert, I purchased a Nothing Bundt Cake which was Reed's favorite (Red Velvet). We had a great time! I hope you all enjoyed this post and look forward to sharing more parties or events I host in the future. Thank you for stopping by :) xo Have a great week!